Using a new needle for every injection can reduce the spread of infectious disease among people who inject drugs (PWID). No previous study has examined new needle use barriers among PWIDs residing in the rural Appalachian part of the United States, an area currently in the midst of a heroin epidemic. Therefore, our primary aim was to explore self-reported barriers to using a new needle by PWID attending a needle exchange program (NEP). We conducted a cross-sectional survey of PWID attending two NEPs in rural West Virginia located in the heart of Central Appalachia. A convenience sample of PWID (n = 100) completed the Barriers to Using New Needles Questionnaire. The median number of barriers reported was 5 (range 0–19). Fear of arrest by police (72% of PWID “agreed” or “strongly agreed”) and difficulty with purchasing needles from a pharmacy (64% “agreed” or “strongly agreed”) were the most frequently cited barriers. Congruent with previous findings from urban locations, in rural West Virginia, the ability of PWID to use a new needle obtained from a needle exchange for every injection may be compromised by fear of arrest. In addition, pharmacy sales of new needles to PWID may be blunted by an absence of explicit laws mandating nonprescription sales. Future studies should explore interventions that align the public health goals of NEPs with the occupational safety of law enforcement and health outreach goals of pharmacists. The online version of this article ( https://doi.org/10.1186/s12954-019-0295-5) contains supplementary material, which is available to authorized users. The United States (US) is currently in the midst of a hepatitis C virus (HCV) epidemic that has been catalyzed by injection drug use in rural areas. Cases of acute HCV infection in the US increased 98% between 2010 and 2015 with consistent annual increases observed during this time period . Approximately 60 to 70% of HCV cases in the US occur in people who inject drugs (PWID) [2, 3]. The prevalence of HCV infection in PWID ranges between 40 and 90% and has been observed to be as high as 98% . A disproportionate number of new HCV cases occur in young, white PWID residing in the rural, Central Appalachian region of the US, which includes the states of Kentucky, Tennessee, Virginia, and West Virginia [1, 2, 5, 6, 7]. This region observed a 364% increase in new HCV cases among young persons (aged ≤ 30 years) between 2006 and 2012 . Additionally, in 2015, West Virginia had the second-highest rate of acute HCV infections (3.4 per 100,000) in the US followed by Kentucky (2.7 per 100,000) and Tennessee (2.6 per 100,000) . This exponential increase in HCV cases has been associated with prescription opioid misuse that progresses to injection of heroin [8, 9, 10, 11]. Among PWID, the risk of HCV seroconversion increases 94% [pooled risk ratio = 1.94, 95% confidence interval (CI), 1.53, 2.46] when syringes are shared during injection . In an effort to minimize the reuse of needles, needle exchange programs (NEP) have been implemented as a mechanism for exchanging used needles for new needles [10, 13]. Although the ability to access new needles is one important step in fighting the HCV epidemic, there are potential barriers to using new needles obtained from exchange programs that may reduce the efficacy of NEPs. Previous studies have examined barriers to using a new needle for every injection among PWID in large, diverse urban settings. These studies have consistently found direct associations between fear of law enforcement encounters (e.g., arrest, citation, syringe confiscation), syringe sharing [14, 15, 16, 17, 18], and injection equipment sharing [16, 19]. Indirectly, fear of law enforcement encounters has been associated with lack of access to new needles from reduced exchange program participation [17, 20, 21, 22], and a reluctance to carry new needles [19, 23, 24], which can increase risky injection behavior [25, 26]. Peer group perceptions  and drug withdrawal  have also been associated with risky injection behavior. No information currently exists describing the new needle use barriers experienced by PWID in the rural, central Appalachian region of the US that is in the midst of historic heroin and HCV epidemics . In comparison to urban and suburban locations, rural areas have fewer NEPs with less staffing and available budgets that may impact access to new needles . Additionally, conservative states such as West Virginia have histories of favoring a criminal response versus a public health response to drug use, which may increase potential fear of arrest by PWID . Therefore, the aim of this exploratory study was to identify self-reported barriers to using a new needle obtained from an exchange program among PWID attending NEPs in the state of West Virginia, which is located in the heart of Central Appalachia in the US. Improved understanding of these barriers may have implications for the efficacy of needle exchange for the prevention of HCV in rural areas. Based on the previous research , we hypothesized that fear of arrest and drug withdrawal would be the most frequently reported barriers to using a new needle. We conducted a cross-sectional survey of PWID attending the first two NEPs to open in West Virginia, the Cabell-Huntington Health Department Syringe Exchange  and the Mylan Puskar Health Right LIGHT (Living in Good Health Together) Program . The Cabell-Huntington Health Department Syringe Exchange is operated by a county health department located in the southern part of West Virginia that has been described as the overdose capital of the US , while the LIGHT Program is operated by a free healthcare clinic in another high PWID prevalence area located close to the northern border with Pennsylvania. Both programs exchange used needles for new needles. PWIDs are encouraged to bring all needles back, but the exchange is not dependent on the number of needles returned. At the time of the study, the health department limited the number of needles per PWID due to budgetary constraints. The LIGHT Program did not have a specific limit and distributed new needles on a needs basis. We specifically selected these two NEPs because they were the only programs open at the time of study design and thus had an established client base and study operation flow. Furthermore, the primary author had established relationships with each NEP director, which facilitated survey implementation and logistics. To test the comprehension and completeness of the survey [36, 37], two focus groups with 8 PWIDs (4 males, 4 females) drawn from attendees at both the Health Department NEP (n = 5) and the LIGHT Program (n = 3) were conducted. Guiding questions were based on whether (1) items were understandable, (2) response choices were adequate, (3) items were written in a manner that elicited only one response, and (4) items were complete. Item modifications were made as needed to maximize their applicability to the rural setting and avoid poorly defined words or terms that were not universally understood . To further enhance reliability and increase validity, the directors of both NEPs also reviewed these items. All respondents believed the items were complete (i.e., no potential barriers were missed) and written in a manner that only elicited one response. Participants also felt that response choices (i.e., the 5-point Likert scale) were adequate and that most items were understandable with the exception of item 8 that discussed the potential barrier of using a new needle while injecting in a shooting gallery. Several participants were unfamiliar with the term “shooting gallery.” Therefore, we added a clarifying definition and a few terms (i.e., “dope den,” “joy popping”) taken directly from the transcripts of the focus groups that reflect the concept of a shooting gallery in our setting. Otherwise, no other changes were made to the questionnaire (see Additional file 1 for specifics). After item modifications, basic demographic questions querying age, gender, race/ethnicity, education level, employment status, housing status, HCV status, and injection history (e.g., frequency of injecting, years of injecting) were included in the final questionnaire (see Additional file 1). To minimize potential bias stemming from participant and item nonresponse, the final survey was designed and pilot tested to take no more than 3–5 min to complete [36, 39]. Importantly, to minimize social desirability bias given the sensitive nature of the questions, the survey was anonymous . Based on consultation with the NEP directors, a convenience sample of 100 attendees was planned. This sample size was selected based on the following considerations: (1) NEP director’s assessment of maximum number of accessible participants and (2) the unstable and transient nature of the target population. To promote the number of responses, participants were personally invited by study staff to take the survey while attending the exchange . The only requirements for participation were current exchange attendance and being at least 18 years of age. Those attendees agreeing to participate were given a pen and completed the survey on paper with study staff available to answer any questions regarding survey items. Participants were given a $10 gift card upon completion of the questionnaire. The West Virginia University Institutional Review Board approved the study and waived the requirement for written informed consent given that the only document linking participants to the sensitive and potentially stigmatizing questionnaire would be the consent form. All questionnaire data were entered into JMP® 13.0 Pro . The median was imputed in cases where respondents gave a range of values instead of a single number (i.e., 5–10 injections = 7.5 injections; 47% of cases) and in the 8% of cases with missing injection history. Frequencies and descriptive statistics were calculated for all measured variables. The extent to which demographic characteristics differed between respondents at each NEP was assessed using chi-square (or Fisher’s exact test when more than 20% of expected cell counts were < 5) for nominal or ordinal variables, and the t test (or Wilcoxon test in the case of non-normally distributed outcomes) for continuous variables. Normality of outcomes was assessed via the Shapiro-Wilk W test. Continuous variables that significantly departed from normality were recoded into an ordinal variable based on distribution quartiles and a goal of creating category cell sizes that met the chi-square test requirement of no more than 20% of cells with expected counts < 5. The 5-point Likert response indicating agreement with each barrier was collapsed into a dichotomous “agree” (responses of “agree,” “strongly agree”) and “disagree” (responses of “strongly disagree,” “disagree,” “neutral”) variable for analysis to allow comparisons with a previous cohort of Denver heroin injectors that completed the Barriers to Using New Needles Questionnaire . Contingency table analysis was used to explore bivariate associations between nominal and ordinal demographic and injection history factors and (1) the number of barriers reported (< 4, 4–8, > 8) and (2) agreement (i.e., responses of “agree,” “strongly agree”) with the individual barriers to new needle use that were endorsed by more than 50% of respondents. Analysis of variance (ANOVA) was used to examine associations between age and reported barriers. An alpha of .05 was selected as the threshold for statistical significance. Overall, 100 PWIDs (Health Department, n = 74; LIGHT Program, n = 26) were approached and agreed to take the modified questionnaire. Respondents were generally young (i.e., < 40 years; range = 18–63 years) and non-Hispanic White with slightly more males than females completing the questionnaire. Most respondents (78%) reported no education beyond high school, and two thirds (66%) were either unemployed or unable to work. A substantial portion of respondents (40%) reported that they were currently homeless and one third were HCV positive. Respondents reported injecting between 1 and 18 times a day, 2 to 150 times a week, for 1 month to 35 years. There were no statistically significant differences between NEP sites in any of the demographic variables measured (see Table 1). Drug of choice information was available for 94 participants. Heroin was the most frequently cited drug of choice by respondents (n = 67, 71.27%). Other drugs of choice included methamphetamine (n = 16, 17.02%), buprenorphine (n = 11, 11.70%), cocaine (n = 2, 2.13%), fentanyl (n = 1, 1.06%), and amphetamines (n = 1, 1.06%). The median number of barriers to using new needles among all participants was 5 (range 0–19). PWID who reported > 8 barriers were significantly older than those reporting < 4 barriers (41.87 years vs. 35.68 years, respectively; P = .02). PWID who had been injecting for at least 8 years were significantly more likely to report > 8 barriers to new needle use compared to those injecting for < 3 years (41.67% versus 12.50%, respectively; P = .048). There were no other significant differences (all P > .05) in the number of barriers reported between sites, demographic categories, or by frequency of injection. Among all 20 barriers, three items were endorsed by at least 50% of respondents (see Table 2). Two of these barriers related to obtaining new needles at pharmacies (items 11 and 13), and one reflected fear of arrest (item 20). Fear of arrest was the most frequently cited barrier overall with 45% of respondents strongly agreeing and an additional 27% agreeing that it was a barrier to using new needles. Agreement with these three items did not differ significantly (all P > .05) by age, gender, race, ethnicity, education, employment status, housing status, HCV status, or injection history. Therefore, we did not construct additional multivariate models potentially controlling for confounders. 1. It takes too long to get a new needle every time I inject. 2. It is inconvenient to get a new needle every time I inject. 3. I often do not want to take the time to get a new needle because my cravings or urges to use drugs are too strong. 4. I often do not take the time to get a new needle if I am drug sick or in withdrawal. 5. I do not take the time to get a new needle before injecting because I can only think about getting high. 6. I do not take the time to get a new needle before injecting if I am already high or drunk. 7. The places where I inject usually do not have access to new needles. 8. If I am in a shooting gallery (a place where people inject drugs, “dope den,” “joy popping,” etc. ), I often do not use a new needle. 9. I often do not carry new needles with me when I am out. 10. There is not a needle exchange close by for me to get needles. 11. Pharmacies sometimes give me hassle when I try to buy needles. 12. After I inject, I do not prepare in advance by getting new needles ready for my next injection. 13. It’s too expensive to buy new needles from the pharmacy for every time I inject. 14. Feeling sad or depressed would get in the way of my using a new needle every time I inject. 15. It is embarrassing to buy needles at the pharmacy. 16. I worry that someone (friends, family, etc.) may see me buying needles at the pharmacy. 17. My peers/friends would look at me funny if I used a new needle every time I inject. 18. Having to worry about using a new needle interrupts the ritual of using. 19. I am unlikely to use a new needle if a friend lets me borrow his or her used needle. 20. I could get in trouble from the police if I carry needles around with me. We conducted the first study to empirically assess barriers to using new needles by PWID living in the Appalachian region of the US that is currently in the midst of an opioid and HCV epidemic. As hypothesized, similar to previous studies, fear of arrest by law enforcement officials was the most frequently reported barrier to using new needles in our population. However, we did not find being in withdrawal to be a significant barrier to new needle use as we expected. Rather, difficulty obtaining new needles from pharmacies was the second most frequently cited barrier. These findings may have implications for the efficacy of NEPs for the prevention of HCV and other infectious diseases among PWID. The overall number of barriers reported was slightly larger in the Denver sample compared to our study (average of 7.19 (SD, 3.62) barriers reported versus 6.02 (SD, 4.61), respectively). However, similar to our findings, only a small proportion of barriers was endorsed by at least 50% of respondents. More specifically, only 5 of 20 barriers were endorsed by more than 50% of respondents in Denver, and only 3 of 20 barriers were endorsed by more than 50% in our rural setting, although an additional 2 barriers related to difficulties purchasing new syringes at a pharmacy (items 15 and 16) were endorsed by almost half of our sample. Notably, and congruent with our findings, fear of arrest for carrying new needles was the most frequently cited barrier in Denver (98% of injectors, 45 of 48). This finding is also congruent with several other studies conducted in the following large, urban areas: Baltimore, MD [19, 41], Oakland, CA, Richmond, CA , Los Angeles, CA [14, 15], and San Francisco, CA , in the US and Moscow, Volgograd, and Barnaul in Russia . To our knowledge, this work is the first to quantitatively assess this phenomenon in rural Appalachia and is congruent with a recent qualitative case study of rural Appalachian NEPs by Davis et al. . This case study observed a legal conundrum created by paraphernalia laws that manifested in PWID being cited for new needle possessions. West Virginia state law does not regulate the retail sale of syringes . However, some West Virginia cities are passing ordinances that criminalize needle possession in the absence of a prescription . This development may limit the ability of PWID to have a new needle available for every injection, which may increase the risk of HCV seroconversion and undermine the infectious disease prevention goals of NEPs. Even in locations that do not prohibit syringe possession, the success of NEPs is directly contingent on close cooperation between law enforcement and public health officials. In particular, Beletsky  noted a discrepancy between the “law on the books” (i.e., legality of syringe possession and exchange) and the “law on the streets” (i.e., discretionary behavior of law enforcement in the form of arrests and citations for needle possession) . Therefore, a better understanding of law enforcement attitudes underlying variable enforcement behaviors is indicated. Elucidation of these attitudes can form the basis of tailored interventions to promote law enforcement acceptance of NEPs at a local or regional level to improve success and acceptability . Interestingly, the difficulties related to purchasing syringes at pharmacies observed in our study were not reported in the urban, Denver sample, although the legality of syringe sales was similar to our own setting (i.e., no explicit law prohibiting nonprescription sales to PWID) [48, 49]. Therefore, these sales are left to the discretion of pharmacists who often have to weigh the public health goal of preventing infectious disease with concerns over endorsement of drug use, which may contribute to practice variability (Garofoli M, e-mail communication, 7 Nov 2017). Such variability has been documented in the US with syringe purchase refusal rates between 23 and 79% observed in states where nonprescription sale of syringes by pharmacies is legal [50, 51, 52]. Concerns over endorsement of drug use and stigmatization of drug users were among the factors associated with these refusals . As a result of these findings, there has been a call to pass legislation that explicitly mandates pharmacy sales of nonprescription syringes as opposed to current discretionary practices [50, 53]. Education of pharmacists to promote awareness of existing state laws that allow nonprescription sales of new needles and the efficacy of new needle use in preventing infectious diseases has been advanced [50, 53]. Pharmacy policies that explicitly promote nonprescription syringe sales have been encouraged . Fuller et al. implemented a multilevel community-based intervention that was successful in reducing negative opinions of pharmacy syringe sales to PWID among both community members and pharmacists. This study also observed increased purchase of syringes by PWID and a significant decrease in syringe reuse. Given the recent closing of a West Virginia NEP over public concerns regarding discarded needles , and the fact that the 4 of the top 5 barriers were related to pharmacy sales (i.e., Q11, Q13, Q15, Q16), pharmacy syringe distribution to PWID may be a viable alternative source of new needles and is a topic worthy of additional inquiry and research. Finally, we did not find being in withdrawal to be a barrier to using new needles in our rural sample as was observed in Denver. Whereas only one quarter of our respondents cited being in withdrawal as a barrier to using new needles in our setting, 65% either agreed or strongly agreed that this was a barrier in Denver, Colorado. Keyes et al. has hypothesized a greater availability of opioids in rural areas due to tight social networks and kinship that serve as a source of prescription opioids. This hypothesis may partially explain the lack of association with withdrawal in our setting. However, it is unclear if this tight social network also increases the availability of nonprescription, illicit opioids (i.e., heroin) that were the most reported drugs of choice in the current study. Therefore, potential explanations for this discrepancy are unclear and warrant further investigation. It is also unclear whether these tight social networks increase access to new needles in the form of secondary exchange from NEP attendees. Des Jarlais et al. reported that an estimated 30% of syringes obtained from rural NEPs are distributed via secondary exchange/peer delivery services. However, these data were reported by NEP directors and not the NEP attendees themselves. Our findings are subject to some limitations. The results may be subject to reporting bias, specifically in the form of social desirability bias. However, we employed an anonymous survey design to minimize this source of bias. Additionally, given the hard-to-reach PWID population, we were not able to employ a random sampling scheme, which may have biased our results. Such bias could affect the generalizability of our findings both to other injectors attending the two NEP sites in our study and also to PWID attending other NEPs located within West Virginia (9 additional NEPs have opened in West Virginia , since the first two that were selected for this study). Our results may also underestimate barriers to new needle use due to the fact that we only recruited PWID attending needle exchanges where some needle access is provided. Although we found no significant differences between participants at both NEPs on selected characteristics, the variable program characteristics of the NEPs included in our study (i.e., one operated by a health department and one operated by a free healthcare clinic) may have contributed to differential participation patterns by PWID that may limit generalizability of our findings. Furthermore, these results may not be applicable to PWID in other locales outside of the rural, Appalachian environment or even to other PWID in West Virginia. Finally, our primary findings are descriptive and could be subject to confounding effects. These limitations notwithstanding, we were able to provide heretofore-unknown information on new needle use barriers experienced by PWID at the epicenter of the current national HCV epidemic. Future studies should measure the impact of reported barriers on risky injection behavior and seek to confirm these results in other locales. Future studies should also specifically examine the impact of paraphernalia laws and policing behaviors on the efficacy of the needle exchange model in rural Appalachian settings. Fear of arrest for possessing new needles and difficulties with pharmacy purchase of new needles were the most commonly cited barriers to using new needles among our population of injection drug users attending two NEPs in rural West Virginia. 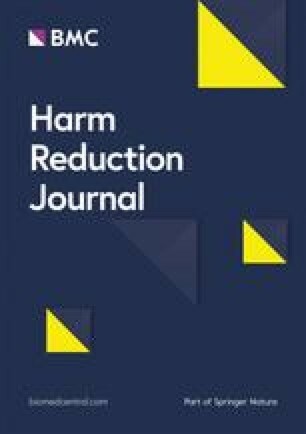 Future studies should confirm these results in other rural settings and explore the design and implementation of individual and structural interventions with law enforcement officials and pharmacists that promote access to sterile syringes and support the overall efficacy of the needle exchange model. The authors would like to thank Dr. Robin Pollini, Associate Director, WVU Injury Control Research Center, for her expert assistance with describing the current legal context for syringe possessions in West Virginia. The West Virginia University Department of Emergency Medicine provided funding for the incentives given to questionnaire participants. However, the Department had no direct role in drafting, interpretation, and analysis of results. The datasets generated and/or analysed during the current study are not publicly available due to IRB restrictions to protect subject identities. SMD conceived the study topic, designed the study, acquired the data, performed the main data analyses, and drafted the manuscript. ALK and DD provided expert advice regarding the study design and analyses, assisted with drafting the manuscript, and provided critically important intellectual content during manuscript revisions. KZ, AB, and MF assisted with interpretation of the data and provided critically important intellectual content during manuscript revisions. All authors read and approved the final manuscript and take public responsibility for their contributions to the manuscript. The West Virginia University Institutional Review Board approved the protocol (IRB#1707657397) and waived the requirement for written documentation of consent. Fraser H, Zibbell J, Hoerger T, Hariri S, Vellozzi C, Martin NK, Kral AH, Hickman M, Ward JW, Vickerman P. Scaling-up HCV prevention and treatment interventions in rural United States-model projections for tackling an increasing epidemic. Addiction. 2018;113(1):173-82. https://doi.org/10.1111/add.13948. Epub 2017 Sep 20. PubMed PMID: 28734093; PubMed Central PMCID: PMC6211174. Quinones S. Dreamland: the true tale of America’s opiate epidemic 2016. Broadway: Bloomsbury Press. https://www.amazon.com/Dreamland-True-Americas-Opiate-Epidemic/dp/1620402521/ref=tmm_pap_swatch_0?_encoding=UTF8&qid=1553714173&sr=8-1. Australian Bureau of Statistics. Pre-testing in survey development: an Australian Bureau of Statistics perspective. 2001. Available from: https://www.abs.gov.au/websitedbs/D3310114.nsf/home/Basic+Survey+Design+-+Survey+Testing. Accessed 5 Nov 2017.